May Openings! AQUA- 1 BDRM, separate Bunkroom, 2 full baths! We provide beach chairs and an umbrella for you to take back and forth to the beach with you! Professionally decorated and beautifully furnished unit with all the upgrades. Great beachfront views and gorgeous sunsets. Full length windows throughout all the living spaces including full views of the gulf with two access doors to your private balcony. This 16th floor unit has the largest balcony of ALL one bedroom Aqua floor plans. Flat screen HD TVs in great room and all the bedrooms. The kitchen is fully equipped with stainless steel appliances, granite counter tops and a FULL SIZE washer/dryer. The master bedroom has a comfortable king size bed with a beautiful view of the gulf and its own access door to the balcony. Aqua is perhaps the premier complex on the beach. It is within easy walking distance (.4 miles) of Pier Park- the most popular destination for shopping and dining on the gulf coast. Gulf World Marine Park is also within walking distance as well as many shops and restaurants. Aqua has two tropical outdoor pools. One is indoor/outdoor and temperature controlled. All pools are beachside and are complete with fountains and water gardens on the grounds of Aqua. There is a poolside cafe with WiFi, outdoor grilling area, fitness center, spa and spa services. Supervised Kid's Club during peak season, pool side party room, and event center. Covered parking with controlled access affords protection for your auto. Located in the heart of Panama City Beach on the west side on Front Beach Road. Come and stay at our home away from home! It's a truly enjoyable place to stay and vacation!!!! We chose our condo at Aqua because it is the most beautiful tower in Panama City Beach and it is in a very convenient location. Within walking distance of Pier Park with lots of shops, restaurants, carnival rides, movie theater complex, Dave and Busters, etc.. Gulf World is less than a block away as well as the pier. There are no beaches like Florida panhandle beaches and our condo has a wonderful view and is directly on the gulf. Our balcony is one of the largest floor plan balconies at Aqua and we also have the largest one bedroom floor plans. Gorgeous sunsets, walks on the beach, walks on the pier, Pier Park shops, restaurants, attractions. Aqua has wonderful pools (indoor/outdoor), fountains, fitness center, whirlpool, banquet facility, etc...... Elegant atmosphere. Absolutely nothing could be better. Aqua is great for families and adults. Our condo is located closest to the least busy elevator in the tower. TV in family room, master bedroom and bunk room. All have cable. Located in fitness room of AQUA's tower. Perfectly placed, beautiful condo. Views are breathtaking and activities are within walking distance. Host is thorough and timely with communication. We just spent the last week of March at the condo and had a wonderful time! We stay at awkward every time we come to Panama City and we have yet to be disappointed. Laurie‘s condo was beautifully updated, comfortable, and we had no issues at all with it. The beach chairs provided worked out great during our entire stay. We had a beautiful view from the large balcony and spent every evening out there after the kids went to bed. Any questions we had were answered immediately. We plan to come back later this year! Thank you! Beautiful space for a quick getaway! My family had a wonderful time on our quick getaway to PCB. Unit 1608 was the perfect size for the 5 of us and since it was a last minute trip, it was awesome that the unit had everything we needed...even beach chairs and umbrellas. All we had to do was show up and have a great time enjoying the beach! The check-in and check-out procedure was very smooth and non-problematic. Owner and staff at Aqua were super accomodating and available to answer any questions. We would definitely stay in this unit again. It was lovely and wonderfully maintained. Thank you so much Joy! I’m glad you and your family had a nice getaway and I’m glad you found our condo so suitable to your needs. We would love to have you back anytime! There’s not much new I can add that you haven’t already seen in the other positive reviews for 1608 Aqua. The unit is spacious and well-stocked with everything you need for a stay, from boogie boards and beach chairs/umbrellas to basic kitchen equipment and supplies. Definitely stop by the unit first before you shop for groceries because you may already find what you need on site! The balcony is quite spacious and the views are stunning. Everything is exactly as pictured, except I was pleasantly surprised that the sofa was a more neutral color! The Aqua facility is perfectly situated and well maintained. You can rent beach equipment (chairs, paddle boards, etc) and book parasailing and banana boat rides from a kiosk on Aqua’s beach. Our trip was in the height of he busy summer season but the pools and beach never felt crowded. I spent a few days of this trip solo, and felt perfectly safe in the unit and everywhere on the Aqua property. Lori the owner and Gina the on site manager were very helpful and responsive. Check in and check out were a breeze, especially with the book of helpful instructions. Don’t think twice: just book this unit and get ready to enjoy a relaxing trip! Thanks so much for the review Laura! I appreciate your kind words. I'm so glad to hear that you had a wonderful stay at our condo and found all the comforts of home that you were looking for. We would love to have you back anytime! Our condo was comfortable & we got plenty of rest & relaxation. We had a great vacation at Aqua 1608. The condo was clean & very comfortable for our week long vacation. We had stayed here once before & we enjoyed it so much we stayed here again. It met our needs & we had plenty of fun & relaxation. Our first three days were rained out due to tropical storm Alberto but once that was past the rest of the week was beautiful. We had plenty of beach time before we left. We had a great time at Aqua. Thanks for the kind review Summer! We were so happy to have you back at our condo at AQUA and I'm glad you found it comfortable and relaxing. We appreciate your feedback and your business and hope you return again soon. Call us anytime! Aqua is a great property! We always enjoy our stay at the Aqua. It is so convenient to restaurants and shopping...we don’t even have to drive anywhere! We will definitely try to book this unit again! I'm so happy to hear that you enjoyed your stay at our condo! 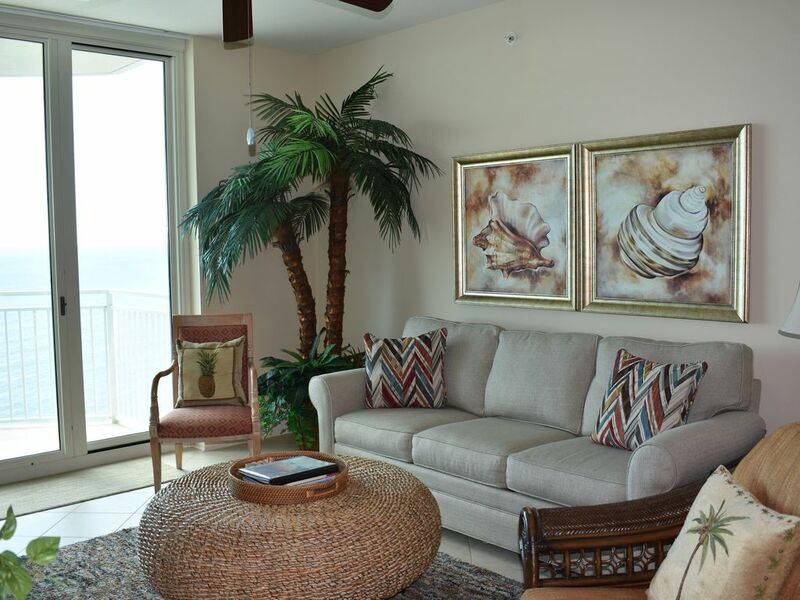 Our goal is to make sure our guests have a comfortable and relaxing experience with all the comforts of home but with a gorgeous view of the beach of course! Please come back and visit us again. We would love to have you back. Helicopter tours, Jet ski/parasailing rentals, beach volleyball, pier fishing, Dave and Busters, Gulf World Aquarium, Wonderworks, Ripley's Believe It or Not Museum, Shell Island. Pier Park with boutiques, shops, restaurants, department stores, amusement rides, movie theatre complex with IMAX. Renters have to be 25 years or older! 1608 is a NON SMOKING unit. AQUA is a NON SMOKING tower. $300.00 deposit to hold the reservation. The remaining balance is due 30 days prior to your visit. Monthly rates are approximate and will be calculated on exact nights booked. Rates subject to change until reservation is is confirmed and payment is made. Please email me for any questions.